For work done right the first time, every time, nobody does it better than BLAINE BAKER GARAGE DOORS. Since 1949, BLAINE BAKER GARAGE DOORS has proudly served San Diego, CA and the surrounding communities, providing the highest quality work possible. As owner and operator, John Eveland always says, “I do it right the first time, every time.” BLAINE BAKER GARAGE DOORS has lasted this long in the business by consistently providing every client with top quality products and by performing all installation work with precision and attention to detail. 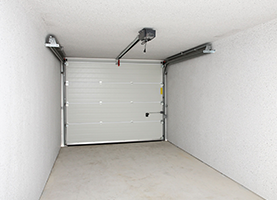 At the licensed (LICENSE #723697), bonded, and insured BLAINE BAKER GARAGE DOORS, your garage door technician—also the owner—does not leave until the job is done right. This fine local company proudly serves satisfied customers throughout San Diego County including El Cajon, Beach Cities, Mission Valley, Clairemont Mesa, Santee, Chula Vista, Imperial Beach, Poway, Alpine, and Pine Valley. All work is performed on site by the owner, ensuring a job done right. 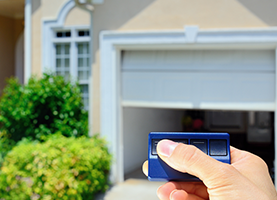 The main services provided include garage door installations, garage door repairs, and garage door motor work. They offer free estimates on new door installations as well as complete repairs to existing installations including those that were installed by other companies. Their customers enjoy a one-year warranty on new door installations and a 90-day warranty on service calls, providing true customer satisfaction and peace of mind at all times. Ask about their special offer of 10% off for veterans and senior citizens! 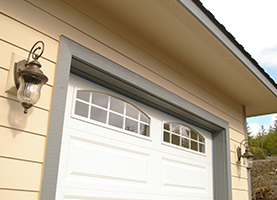 BLAINE BAKER GARAGE DOORS offers a full range of product lines from economical systems to top-of-the-line systems. They also offer a full range of expertise, from simple jobs to extremely complicated repairs and installations. Nobody does it better than BLAINE BAKER GARAGE DOORS of San Diego, CA. They have been “Serving San Diego Since 1949”! To request your free estimate, please contact their team today.